A considerable portion of My final year of Creative Digital Media involved creating a project where we expand upon our digital creativity skills to produce a piece of work which brings together all the digital media related skills into one unique project. I began fourth year without really knowing what I would like to produce for my final project. This was good as I was free of any concrete plans or mediums. I followed a creative process of ‘Design Thinking’which helped me reach a solution towards the subject matter which I wanted to communicate with to the audience. Design thinking helped me to focus on the subject matter which I really wanted to convey to my audience. 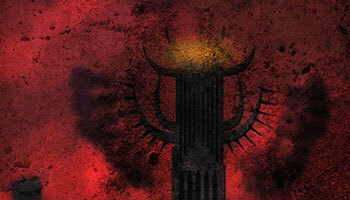 I have always been interested in what possabilities we could vision once we reach the afterlife. Will we see a white, ghostly, distorted version of our reality, will we be immediately sent to heaven or will we descend into the pits of hell? Do the choices we make in life affect our afterlife? 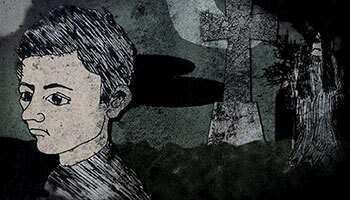 Above and Beyond is an animated short film where we begin to witness a funeral scene of Cormack, a family man leaving his son and wife behind. Cormack's friends and family are by the graveside grieving; a set of dark and light ghosts appear from the church, unseen by the crowd. 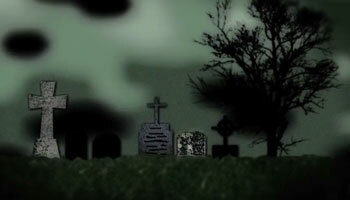 The ghosts halt by the graveside and observe the proceedings. 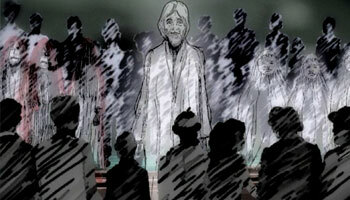 As Cormack's burial takes place, his ghost spirit rises from the grave. 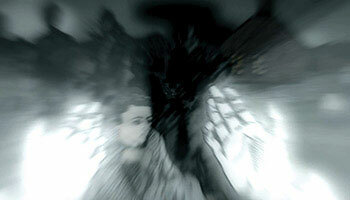 Confronted by the spirits, cormack must choose which path to follow. He follows the path of light guiding his way towards Heaven; when he is suddenly ambushed and captured by the evil spirits, who try to claim his soul. 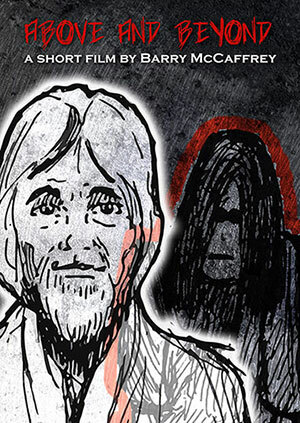 Cormack from free himself in order to save himself from the descent into hell! This project involves many processes and applications in order to reach the final output stage. The first stage involved writing a treatment and producing storyboards on a scene by scene basis. All characters were hand drawn using pencil, these were scanned into photoshop then exported to Adobe Illustrator to be vectorised. 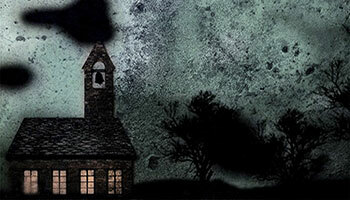 All artwork, both characters and scene locations where created in Adobe Illustrator. Textures were also added to the artwork within Illustrator. All assets (characters, backgrounds, scenery) were imported to Adobe Flash and tweened on the timeline for animation. As each scene is completed in Adobe flash, it is exported as a movie format and imported to Final Cut Pro where filters, effects and colour correction added to the scene to give this animation project it's own unique look and feel. 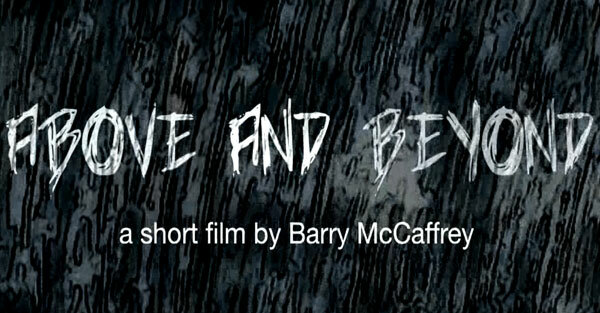 My Final Year Project, 'Above and Beyond' is a short film by Barry McCaffrey. Click to play film. This video for Safefood 360 features their client 'DaVinci Foods', an Australian pasta production company. They inform the viewer about their business and explain the benefits of Safefood 360's cloud based food safety management software. The video footage was shot on location in Melbourne, Australia, my task was to acquire the footage and edit an engaging video benefiting both Safefood 360 and DaVinci Foods.